Feel the Force flowing through you when you drink your morning coffee or favorite beverage from one of our Star Wars mugs or glasses. We offer a wide range of drinkware and tableware items, for home or travel, so that you can display your favorite characters or movies as you eat and drink. We carry pint glasses, coffee mugs, travel cups, water bottles, shot glasses, sculpted mugs, plates, and bowls. Made from glass, stoneware, bamboo, and stainless steel, these Star Wars glasses, mugs, and dishes offer options for dining at the table or remaining hydrated on the go. Some of our Star Wars mugs feature heat sensitive designs that change when filled with hot liquids. 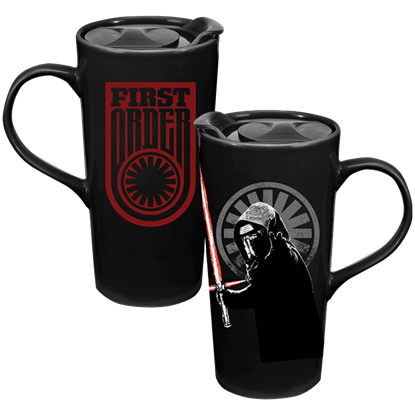 Whether you prefer the classic films with Luke Skywalker, Han Solo, Chewbacca, Leia Organa, Darth Vader, Yoda, R2-D2, and Boba Fett, or the newest characters, including Kylo Ren, Finn, Rey, BB-8, Jyn Erso, and Orson Krennic, we have drinkware and tableware options that are sure to please any Star Wars fan. Keep checking back as we add new styles when they become available. 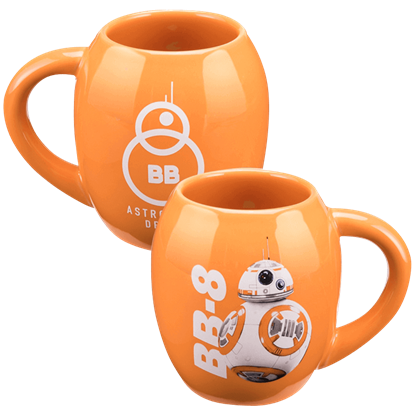 This Force Awakens BB-8 Oval Ceramic Mug will bring a smile to your face with every sip of your favorite beverage. 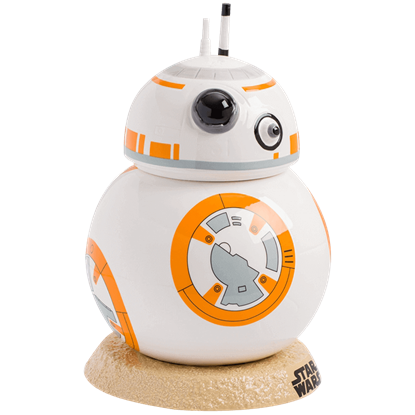 This collectible Star Wars mug shows the plucky astromech droid BB-8 from the 2015 film Star Wars The Force Awakens. Perfect for busy people on the go, this ceramic travel mug features a heat-sensitive design that changes when filled with hot liquid! 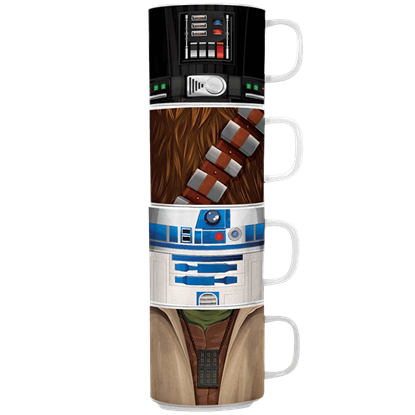 The Heat Reactive Force Awakens Travel Mug features a graphic of the newest villain in the series. 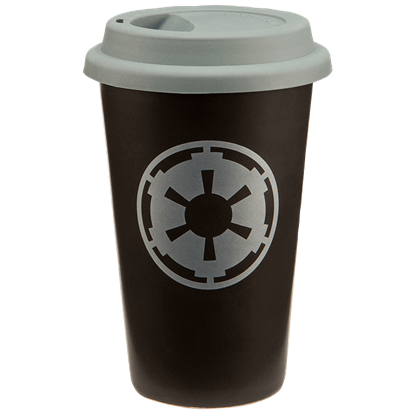 Show your support for the Imperial forces of the Galactic Empire with the Insulated Star Wars Imperial Crest Travel Mug. The six-spoked emblem appears in a light gray hue on the side of this black travel mug. The elite soldiers of the tyrannical Galactic Empire, Stormtroopers serve as the main military body of the Star Wars universe. 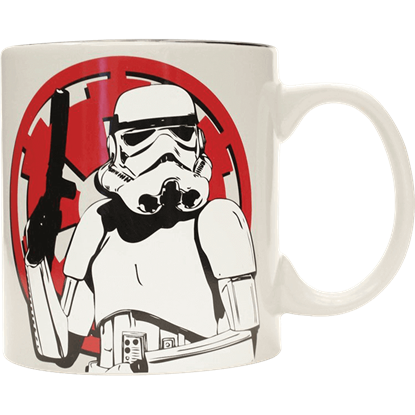 The Jumbo Stormtrooper Mug displays one of these iconic figures in front of a red Imperial crest. The elite forces of the Galactic Empire, Stormtroopers serve as the backbone of the tyrannical government. 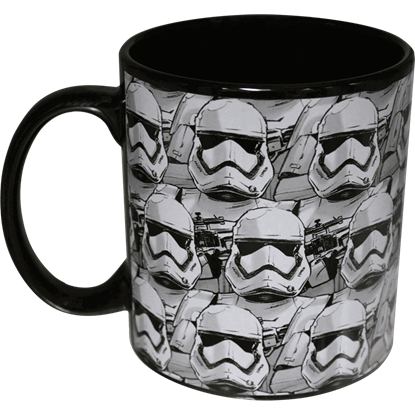 A fun cup for Star Wars fans, the Jumbo Stormtrooper Pattern Mug displays the soldiers in a repeating pattern over its sides. 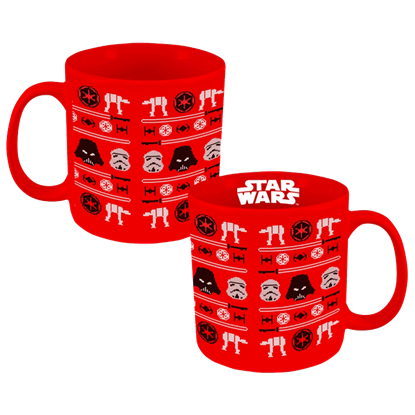 This Christmas, add some adventure to your regular holiday dishware by bringing home this Star Wars coffee mug! The Large Star Wars Ugly Sweater Mug displays a charming pattern featuring several iconic elements of the films. Make a statement with your morning cup of joe! This Rogue One Ceramic Mug will bring a smile to your face with every sip of your favorite beverage. 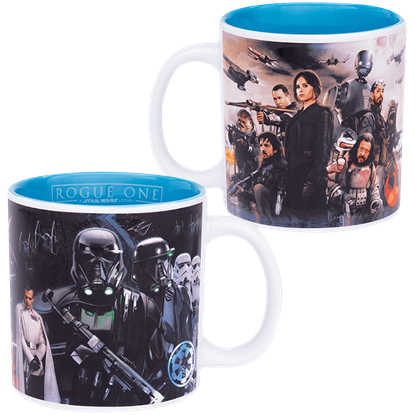 This illustrated mug shows the Rebel squad and the Imperial soldiers from the film. Custom sculpted and beautifully crafted to look like the helmet worn by the infamous villain, this collectible mug makes a fun gift for fans! 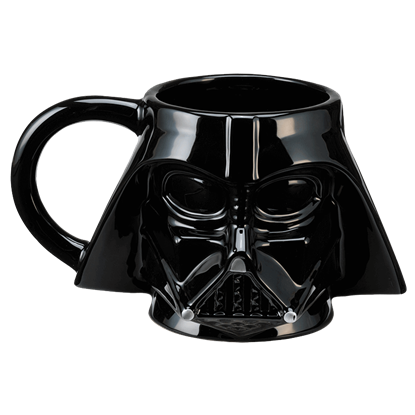 The Sculpted Darth Vader Mug is the perfect option for enjoying your morning brew. Custom sculpted and crafted to look like the helmet worn by an infamous soldiers of the Empire, this collectible mug makes a fun gift for fans! 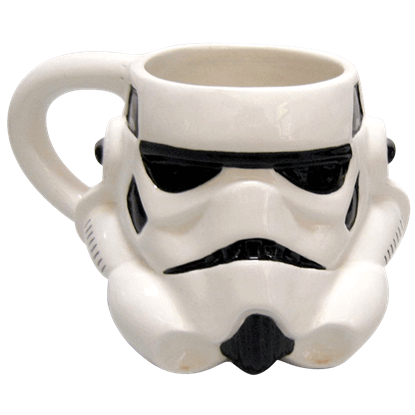 The Sculpted Stormtrooper Mug is the perfect option for enjoying your morning brew. Show some fan love in your home every day! This Star Wars 4 Piece Stacking Mug Set makes a great housewarming gift for fans of the space opera. This set displays illustrated closeup images of R2D2, Chewbacca, Yoda, and Darth Vader. Entrust the care of home-baked goodies to this loyal astromech droid. Just like his movie counterpart, this BB unit takes every mission seriously. Thanks to the Star Wars BB-8 Ceramic Cookie Jar, no scrumptious treat shall go to waste. The Force Awakens is the first in a series of Star Wars film for a new generation of fans. 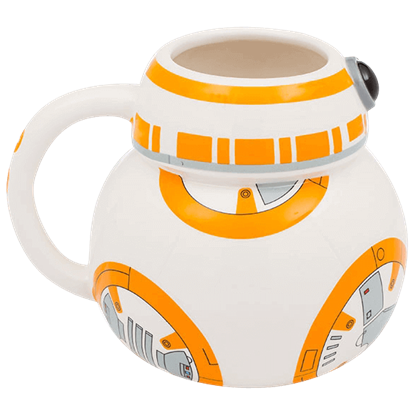 Inspired by the spherical astromech droid, this Star Wars BB-8 Ceramic Sculpted Mug is beautifully crafted to make it a unique collectible.